I started in on making the remaining parts for the chevy yesterday, but not before I updated the plans one final time. 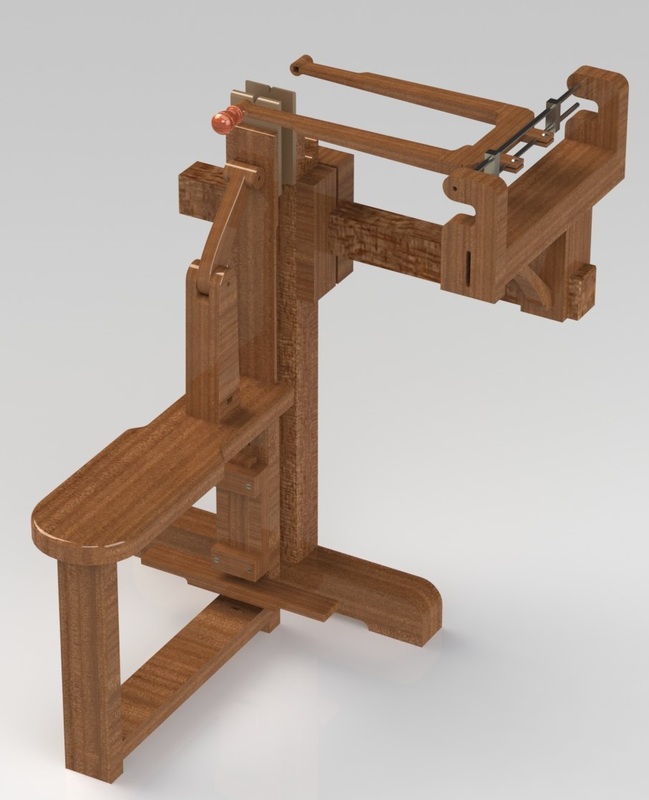 I modeled the missing wood parts and updated the plans to show all of the parts and dimensions necessary to build this tool. 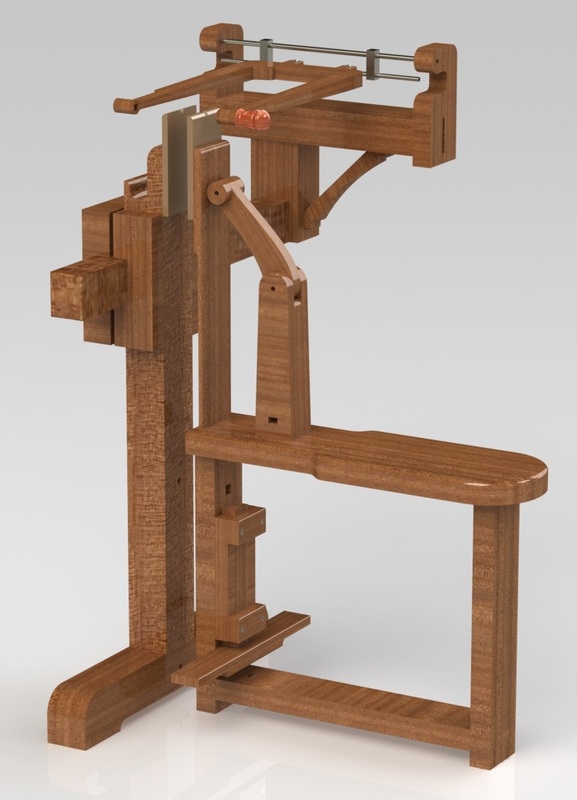 A couple of points: I am not the creator of this tool or this design for this tool I took the measurements from W. Patrick Edwards’ blueprints that I purchased from him. I’ve paraphrased the design slightly to accommodate building it from two thicknesses of 8/4 stock, adding in my guess on the joinery where it isn’t shown on the blueprints. I did this merely as an aid to myself to help building my own tool. Second, the dimensions all assume you are buying Patrick’s hardware kit. If you’re making your own hardware, these plans don’t have the hardware shown. These drawings are meant to compliment the Patrick’s parts and plans. If I get a good day in the shop today I can probably finish the fabrication work and maybe start rubbing in some finish. I’m probably going to use a mix of equal parts poly, linseed oil and mineral spirits. Just a couple of coats for protection, then I can get on with assembly and tuning. 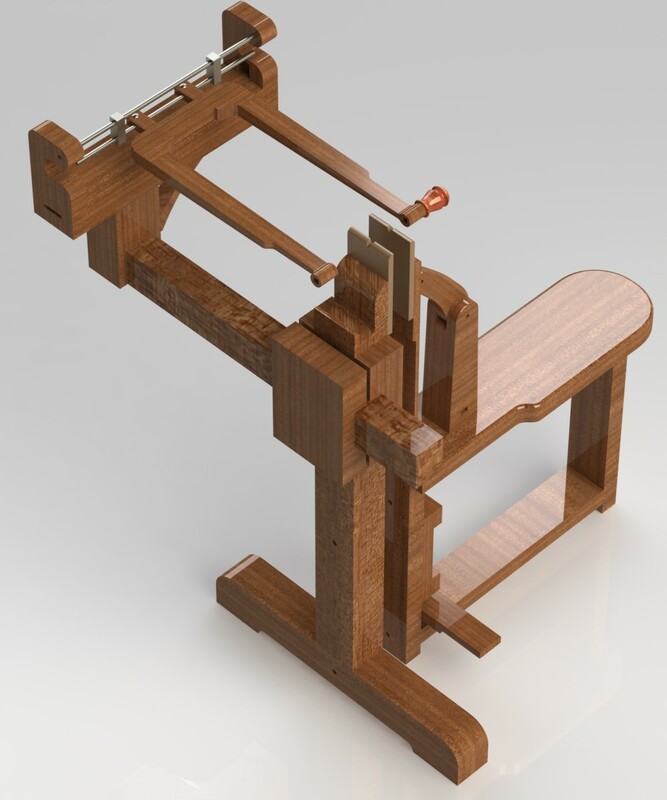 I’d like to make something involving marquetry for a Christmas present, but I don’t know that I have the time. I guess I’d better order some veneer — or a wood slicer blade for the bandsaw. Shoot, I’ll need some supplies from ASFM too, ribbed kraft paper (there is a joke lurking there, I’m ignoring it), backer board and veneer tape. Probably more blades too. Looks great!!!! When it comes to finish just shellac it with some orange- spray it, or brush it even. In the future when you possibly wear some of the areas you can easily repair the finish. Also shellac is very durable and the patina would be amazing. Just a thought. I can wait to download the plans and see the efforts. Great job again!!! Hey, misery loves company. Besides you could knock this out in a weekend or two, and it doubles as living room furniture. We’ll wait and see if it becomes a living room fixture. Ahh, naysayers all. Time will tell, there is a historical precedent for gentlemen woodworkers setting up in the living room. At least that’s my cover story. *Excellent*, have fun with it Bob. I’d love to see some pics as yours comes together.